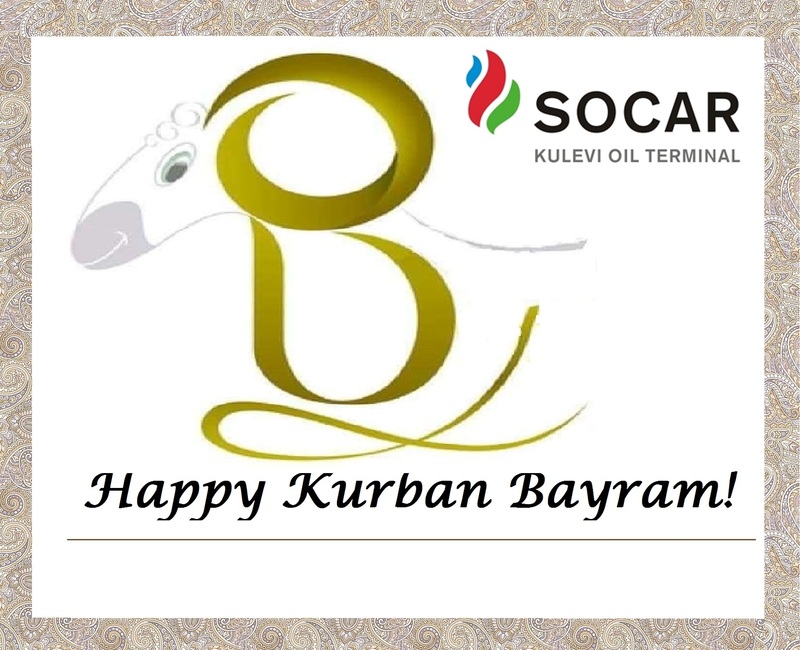 Kurban Bayram the feast of sacrifice, charity and community, caring and sharing for the poor and the needy. During the time of Kurban Bayram, people are given the greatest pleasure of being happy, also it makes friends and relatives delighted. It is an occasion where family ties and relations get strengthened and an opportunity of bonding between generations. “Black Sea Terminal” LLC has always ensured to be part of this celebration by not forgetting those people who do not have an opportunity to celebrate the festival. As the internet continues to evolve, so do cyber crimes. Cyber criminals do not need to leave their homes, and can easily hack into any computer with a few clicks of a mouse and an internet connection. So, in order to battle these cyber criminals, every organization needs to have their IT personnel trained in ethical hacking. A computer or networking expert who is trained in ethical hacking can penetrate into a computer or networking system on behalf of its owner for the purpose of detecting security vulnerabilities that a malicious hacker could have possibly exploited. The working environment of organization is an important factor in its growth and success. It is the responsibility of every employer to ensure that their employees are working in hygienic conditions. This not only improves their well-being but also assures them of good health at work. Kulevi Oil Terminal is a company working towards the well-being of its employees. As such, it regularly conducts training courses to create awareness among its employees as it relates to health and hygiene. As part of the company’s training and awareness program, a hygienic study recertification-training course was conducted with an external agency for certain employees at the terminal – especially food handlers and those involved in cleaning. The investigation and control of corrosion processes is one of the main priorities for the oil industry worldwide. Losses due to corrosion can reach very high levels and uncontrolled corrosion processes can significantly increase safety risks resulting in severe accidents. If facilities are systematically inspected for corrosion, and control measures are implemented in a timely manner, these kinds of risks can be minimized or avoided altogether. As part of its anti-corrosion strategy, BST management has implemented a Corrosion Management and Control Program. Since January of 2018, corrosion engineers have undertaken the corrosion inspection of process pipelines and other terminal equipment. As a hazardous environment, the tank farm area requires the continual monitoring of its tank safety and protection system. And the tank earthing is one of the most important components of the system. The inspection of the oil storage tank earthing is of highest priority at Black Sea Terminal. Inadequate earthing in tank farms can compromise the protection and safety system of tank farms and cause severe damage and injury to personnel due to catastrophic lightning strikes. As part of a planned maintenance system, Black Sea Terminal has recently completed the inspection of the earthing system in its tank farms. During inspection, the integrity and performance of the earthing system was assessed. 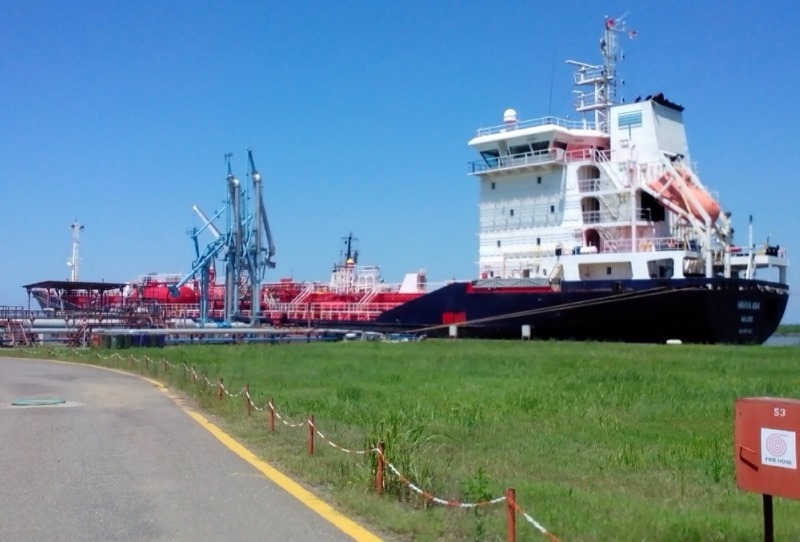 Black Sea Terminal successfully resumed its transshipment of methanol after several months of suspension, which coincided with the planned maintenance work being undertaken at the SOCAR methanol factory. Within the first two quarters of 2018, BST transshipped about 34, 016 metric tons of methanol product, fulfilling 11% of the forecasted transshipment volume for the current year. It should be noted that Black Sea Terminal continues its successful operation of its methanol offloading, storage and loading facility and has transshipped 600, 000 metric tons of methanol since the completion of construction and start-up of the facility in 2014. As part of a yearly integral International Port Security Program, on July 19, 2018, an annual inspection was conducted of Kulevi Port by senior management representatives of the US Coast Guard together with representatives of the Maritime Transport Agency of Georgia. The main purpose of the visit was to observe the security level at Kulevi Port and recommend measures to strengthen the system. 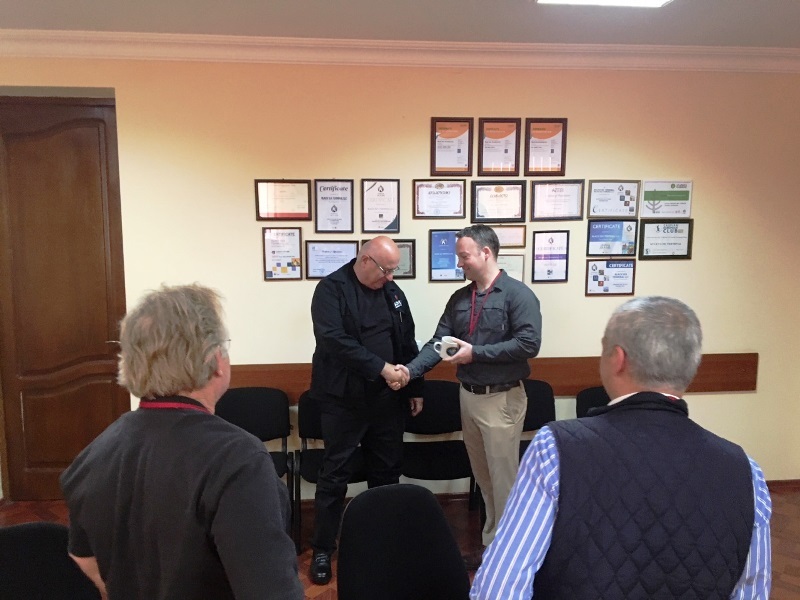 At the beginning of the visit, a meeting was held with between BST management members and Georgian State Police/Border, Customs and Police Security Service representatives to discuss the various aspects of security. Labor and/or employment-related risks play a very important role in any business or organization, and so any new laws or rules established to benefit employees and the organization are considered to be of the utmost importance by Black Sea Terminal. Kulevi Oil Terminal being an organization with multinational employees, the benefit of expatriate employees and labor-related rules and tax issues for such employees is very important. Jointly with Ernst & Young, an online live session was conducted for a group of leading employees at BST. 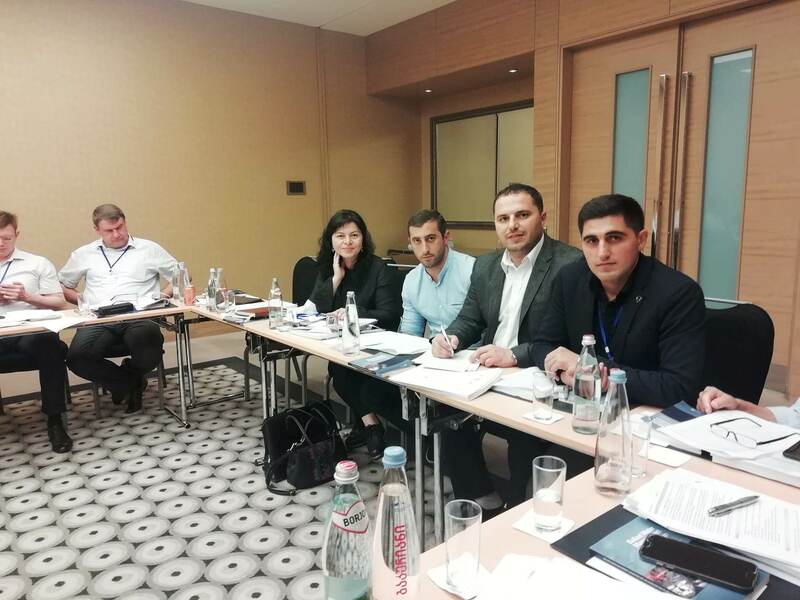 The International Maritime Organization (IMO) and the Maritime Transport Agency of Georgia organized a three-day workshop in Batumi that focused on the implementation of BWM convention compliance, monitoring and enforcement, risk assessment and Port Biological Baseline Surveys.